As promised. The past April 25, Spotify we promised a free version hipervitaminada and less limited and already we have with us. 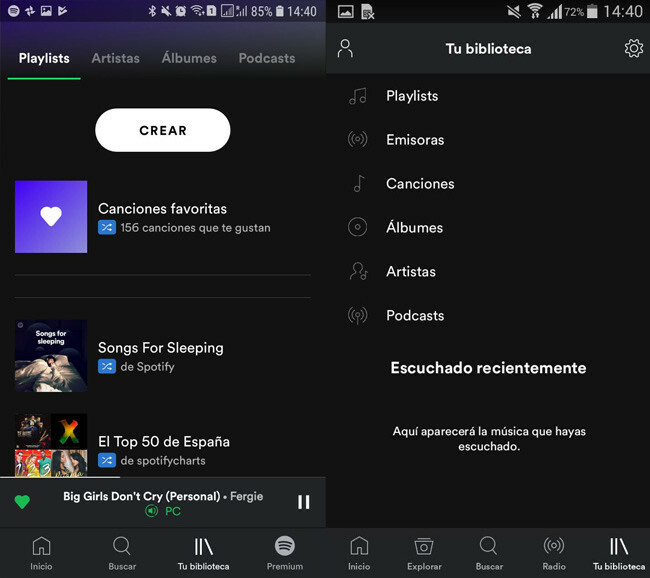 We tested it and we’ll what’s new in Spotify free and what has changed. 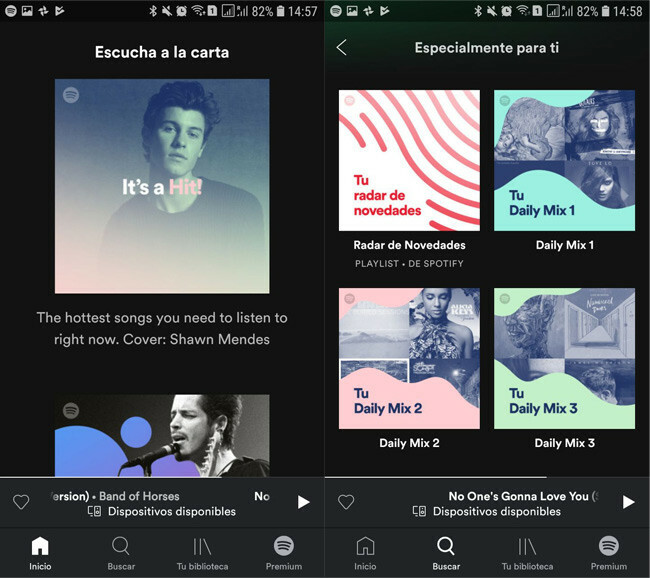 This new Spotify for free comes from the hand of a redesign of the app, a new way of saving data and a fifteen-unlimited playlists. We will see what exactly are these lists of reproduction, how to recognize them and how do they differ from the rest of music. One of the most important changes of this new Spotify was the new design. The change, if you do not have a photographic memory, it can go unnoticed beyond the feeling that “here before there were more things”. Yes, it is. Disappear the tabs to Explore, Radio and reach a new Premium. the Start , Search and Your Library have managed to survive the purge and remain, although their content has changed slightly to absorb the content that was previously on the tabs that have gone on to a better life. 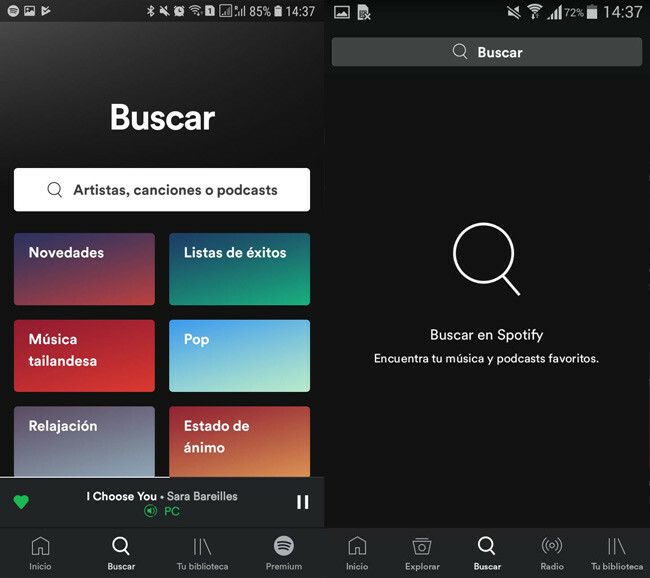 Home just receives the changes, while the boring tab search now includes what was the former Explore, with colorful charts and playlists themes. Of course, you can continue looking for singers and songs. Your library is another section that has a redesign important. The boring list of previous versions changed to a more agile, tabs that reduces the number of touches required, and in addition it is more pleasing to the eye. And what there are in that new tab Premium? Well, not a big deal. It is the same to what you could access before since the settings or after discovering a premium feature: a summary of all the payment functions you’re missing. 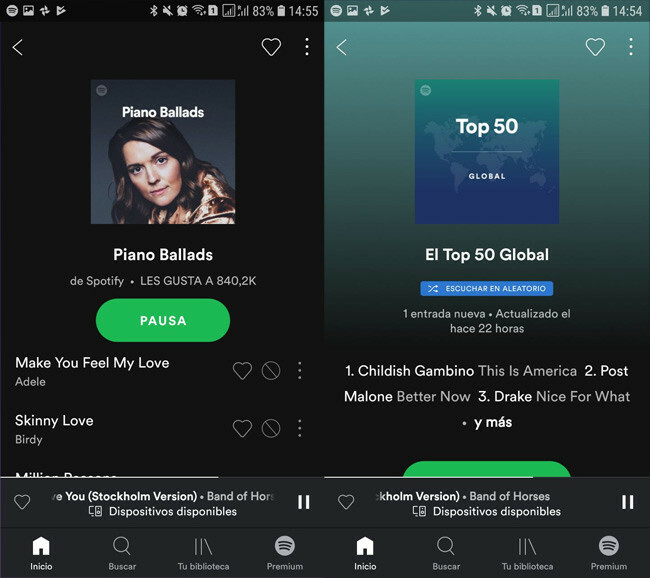 The new design is very good, but if something excited to the free users of Spotify during the last presentation that is the story of power listen to more music without shuffle mode. Yes, it is true, you can listen to music without restrictions, by order and jumping songs to your whim… in fifteen playlists. The notice therefore does not include a blue icon in a random way. 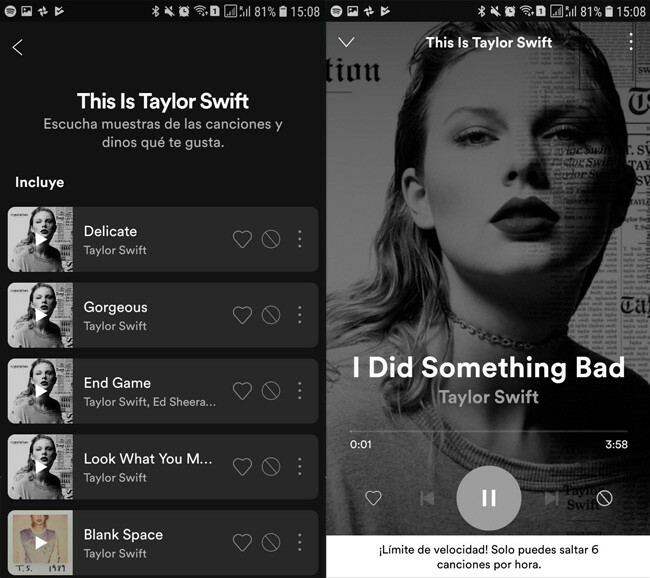 The fifteen free lists have no icon own, so the logic is by exclusion: if you do not have the icon, you can listen to your own taste, as if you were a paying user. That is to say,** skip songs when you want** and being able to choose the song you exactly want to hear. So howwhere to go out these famous fifteen lists unlimited for free users? Thus, in a way, according to what seems to the algorithm of Spotify. Playlists, Daily Mix are unlimited, and to these they join lists and recommendations that Spotify creates for you. Some because you’ve heard them before, others because Spotify thinks you’ll like. 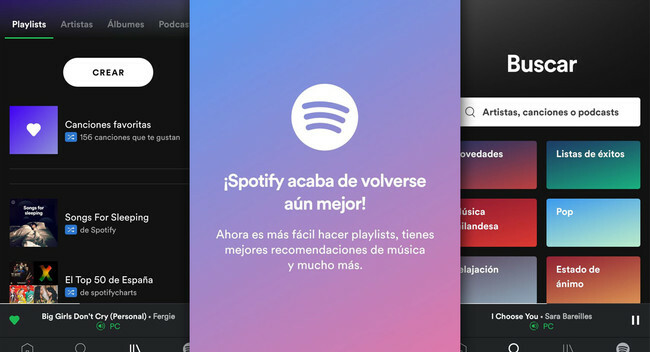 And what happens with the playlists that are not to the letter? In such a case behave as before: only the you can play shuffle mode, and you can pass to the next song up to six times per hour. When agotes your quota, you’ll have to wait patiently for you to change the song. Yes, you have the option of listen to a sample a few seconds of any song included in a list. Taking into account that the free users of Spotify started out from zero playlists free, this added fifteen playlists (about 40 hours of music) are certainly a great gift. By the way, advertising the you’ll keep listening to from time to time, that has not changed. 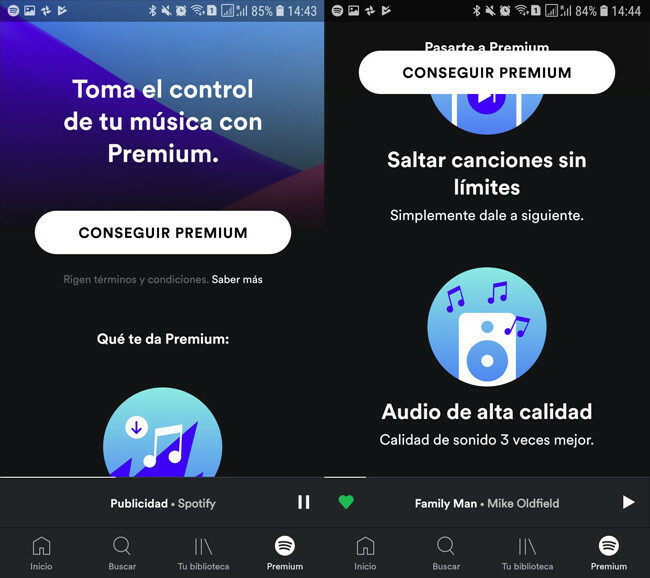 Spotify has promised us also a way of Saving data, although today the option still does not appear in the latest version for Android. Will come later, but in the meantime you can already enjoy a lot of free music without hardly any restrictions, as long as you stick to listening to the playlists that Spotify has to offer. Spotify MusicVaries depending on the device. 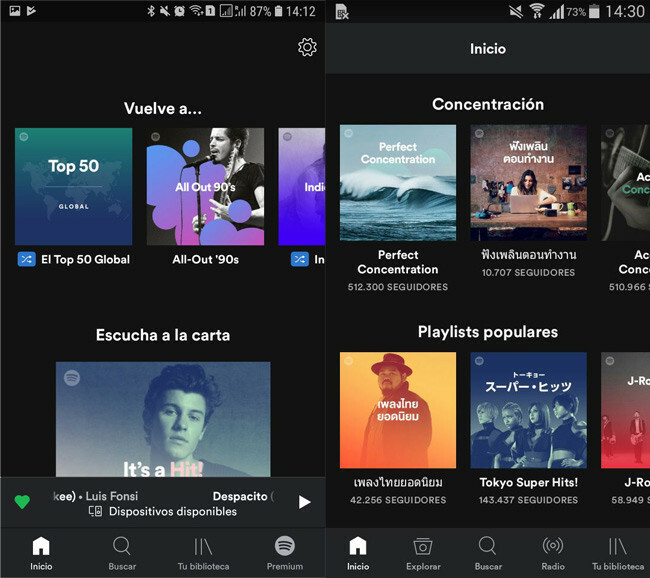 The news The new Spotify is already here and we have tested: hours of free music and a refreshed design was originally published in Xataka Android by Ivan Ramirez .